In-house practice is one of the fastest growing sectors of the Australian legal profession, with around 25% of Australian lawyers now working in such roles. Yet many law students and lawyers are uncertain of how to make the transition to in-house legal practice and are unfamiliar with the unique challenges and opportunities facing in-house lawyers. Through a panel discussion and a networking reception, In-house Counsel Career Pathways offers UTS Law students and young graduates a unique opportunity to hear from experienced practitioners about the opportunities and challenges of in-house legal practice. For practitioners, it offers a unique opportunity to share your in-house journey and career advice with a new generation of lawyers. Panellists include Senior Legal Counsel and Chief Legal Officers from Coca-Cola Amatil, UBS and the NRL, and Legal Counsel from AMP. Jon Downes, Association of Corporate Counsel (ACC) Australia Board Director and President of the NSW division, will also be joining us to officially launch the Corporate Counsel Challenge. The Corporate Counsel Challenge is an exciting initiative between ACC Australia and UTS Law that provides law students with real world experience through a simulation competition. Teams of UTS Law students will formulate an advice memorandum based on a case study involving a major transaction for a public company. Teams will consult with in-house counsel and external legal counsel mentors. Finalists will present their advice to a panel of judges comprising company directors, in-house counsel and senior corporate executives. Dr Robin Bowley, panel moderator, lectures in Corporate Law and Insurance Law at UTS Law. As a lawyer with ASIC for six years, he was involved in numerous investigations into possible contraventions of the Corporations Act (2001) and related legislation. Robin is also actively involved in professional associations in the financial services and corporate governance fields. Betty Ivanoff joined Coca-Cola Amatil (CCA) as Group General Counsel in April 2016, as a member of the executive, leading the legal and company secretariat teams across CCA’s markets and operations. Prior to joining CCA, Betty was the Group General Counsel and Company Secretary for GrainCorp Limited from 2008, and built the first legal and compliance team for the company, leading them through a period of vast growth and diversity, spanning many geographies. Betty previously held internal corporate counsel positions with companies including CSR Limited, Walter Constructions and Sinclair Knight Merz. Betty is an active member of the International Bar Association (IBA) and Australian Corporate Counsel (ACC). She holds a Bachelor of Laws from UTS. Peter Giurissevich is Senior Legal Counsel at the NRL and also Company Secretary of Rugby League World Cup Ltd. No stranger to the pressure of performance, Peter left Australia's first sports high school, Westfields Sports High School, at the age of 16 to chase a professional football career in Italy. After two years, he returned to Australia and completed a Bachelor of Laws and Business Administration from UTS. Peter began his legal career at Gilbert & Tobin before joining the NRL in 2013. Peter is the 2017 recipient of the prestigious Australian Financial Review BOSS Emerging Leaders MBA Scholarship, selected through a competitive pool of more than 80 applicants to pursue a MBA at the University of Sydney. Nicholas Olson is Legal Counsel at AMP. Nicholas acts for entities in the AMP Group in financial services litigation and disputes about financial advice, superannuation, life insurance and banking products. Prior to joining AMP, Nicholas worked at TurksLegal in the Insurance & Financial Services team representing insurers and superannuation trustees in disputes. Nicholas holds a Bachelor of Laws from UTS. Annette Spencer is General Counsel of one of Australia’s leading investment banks, UBS AG, and is actively engaged in risk and governance management as a member of the bank’s APAC IB Risk Committee, Australasian Country Committee and Global Legal Management Committee. A lawyer with over 20 years financial services law experience, Annette leads a team that has been awarded the Australasian Law awards for “Investment Bank In-house Team of the Year” 10 times. Annette’s career has spanned domestic and international experience in the USA and APAC, advising on derivatives, capital markets, financial advice and structured products, as well as related regulatory and employment aspects. In her role as General Counsel, Annette has been responsible for providing legal and strategic advice on the acquisition, restructure and divestment of various businesses in the UBS Group, including, most recently, the sale of UBS’s wealth management operations in Australia last year. Annette holds an LLB (Hons) from UTS. 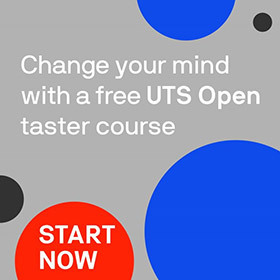 If you have any difficulties registering, please contact us via email at alumni@uts.edu.au. Events are complimentary for alumni and friends of UTS, but we invite you to consider making a voluntary tax-deductible contribution to the UTS Law Equity Scholarship Fund, to help talented UTS students achieve their potential, regardless of financial, social or other disadvantages. Donations are in $AUD and 100% of your gift goes directly to student recipients. If you do not wish to make a contribution, please leave the field blank. Entering "0" will cause an error due to a system restraint. Know someone who missed their invitation? If you are in touch with any UTS graduates who may be interested in attending, please share this invitation with them. Find out more about UTS Law's 40th anniversary and other upcoming UTS alumni events.